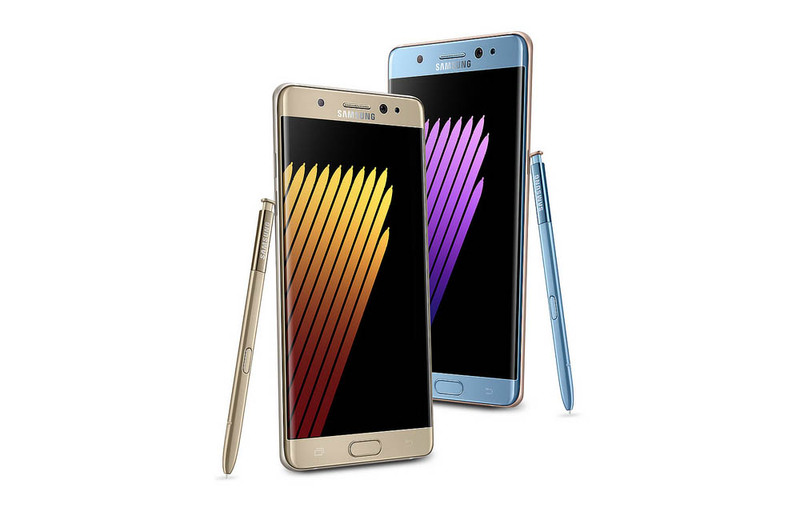 The Samsung Galaxy Note 7 will go up for pre-order starting tomorrow (August 3) at your favorite US wireless carriers before it arrives in stores and on doorsteps August 19. If you order early, for a limited time, Samsung is tossing in some pretty decent freebies. When pre-orders open tomorrow, you’ll be able to buy the new Galaxy Note 7 at AT&T, Sprint, T-Mobile, US Cellular, and Verizon in Blue Coral, Silver Titanium, or Black Onyx. The phone will also be available from retailers like Best Buy, Amazon, Car Toys, Sam’s Club, Target, and select Walmart stores. As for that limited time deal, Samsung is giving away either a free Gear Fit2, their newest fitness tracker, or a 256GB memory card. In addition, customers can get $20 in rewards if they then make a first purchase with Samsung Pay.